Silver Lake Short Sale! Another Sunset Silver Lake Loft comes to market! Last month, I wrote about a Short Lake listing at Sunset Silver Lake lofts. That was unit #230 which was originally purchased in 2007 for $553,500. It came on the market in January with a listing price of $495,000 and has since been reduced to $349,000. That’s a great deal if the bank will accept such a low price. It’s a 1 bedroom, 2 bath unit just over 1100sf. If you’re looking for additional space, unit #348 might be more your speed. This unit has 2 bedrooms and 2 full bathrooms. Like the other unit, it is also 2 stories with high ceiling and a wall of windows to bring in extra light. 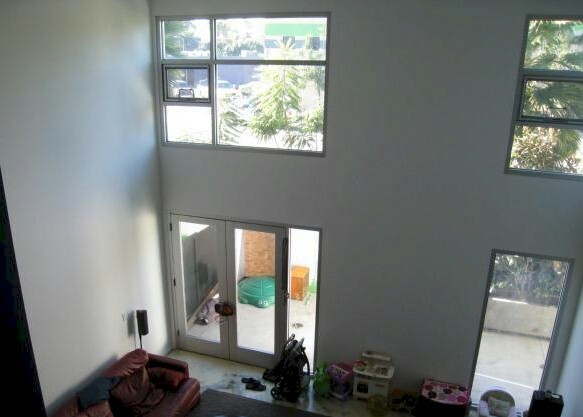 In October 2007, this Silver Lake loft sold for $725,000. The current asking price $549,000. Since the owners’ mortgage is in the high $5’s, this one is not as short as many short sales are and I would expect it to have a pretty good chance of getting through the short sale process. The Sunset Silver Lake lofts are live/work lofts in the heart of Sunset Junction that were built in 2007. There are a total of 43 architectural units grouped into 4 buildings, developed by the Kor Group and designed by award winning Rothenberg Sawasy Architects. All of the units came with commercially inspired kitchens with stone countertops and stainless steel appliances, tiled baths and inside laundry. The building has security entrances and underground parking which is great since it can be tough to score a spot on Sunset Blvd. 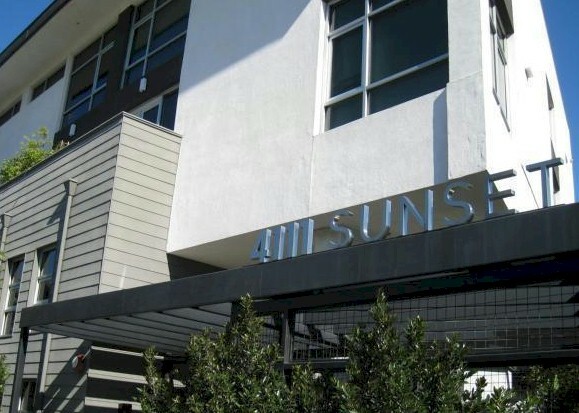 When 4111 Sunset first came on the market in 2007, the units were listed from $590,000 to $945,000. They range from small 1 bedroom to 3 story penthouse units. The Sunset Silver Lake Lofts are within walking distance to stores and restaurants in Sunset Junction like Intelligentsia and the Cheese store of Silver Lake . All units are pre-fitted for high-speed Internet access and cable television, recessed lighting, architectural hardware and central air conditioning. It’s unusual to see two units on the market at the same time. 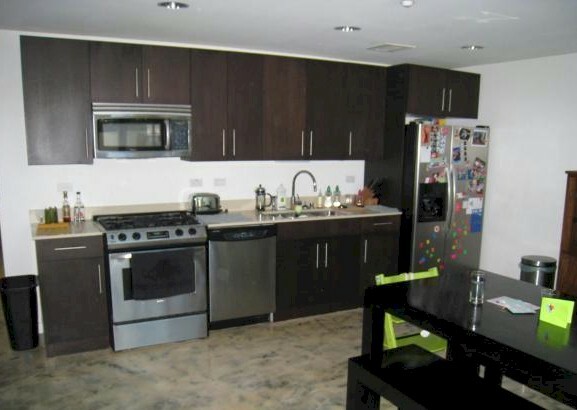 This 2 bedroom/2 bath unit is currently tenant occupied. I would have loved to supplied more photos but some tenants are neater than others and you’ll want to take a look at this one in person to get a good feel for the place.